A Crown is a cast porcelain, alloy metal or a combination of both materials that is placed over a tooth and held in place with a dental adhesive or cement. It provides support for teeth that have broken or have large fillings that continue to break and prevents it. Crowns can look and feel exactly like a natural tooth. The colour and shape can be matched to your own teeth. A Crown can last for many years if you look after your mouth and teeth. 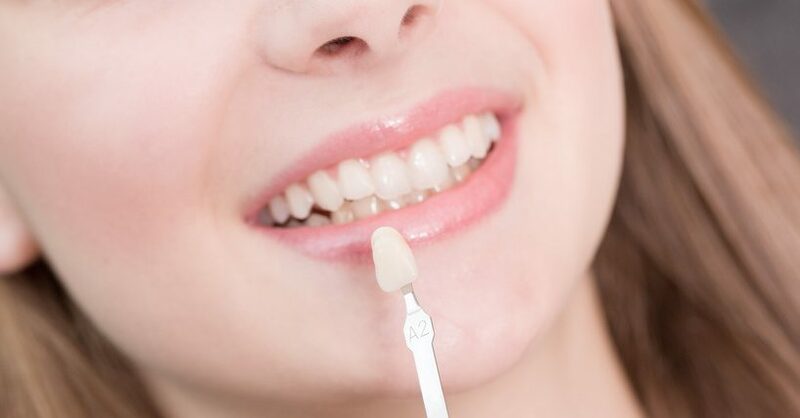 Regular check ups with your dentist at Ck Dental Health Clinic will detect any problems with your crown and your dentist will recommend necessary treatment. Bridges and crowns are fixed prosthetic devices that are cemented onto existing teeth or implants by a dentist or prosthodontist. Crowns are used most commonly to entirely cover or “cap” a damaged tooth or cover an implant. Bridges are commonly used to cover a space if you’re missing one or more teeth. They are cemented to natural teeth or implants surrounding the space where the tooth once stood. In addition to strengthening a damaged tooth, bridges and crowns can be used to improve a tooth’s appearance, shape, alignment and dental occlusion (bite). Gaps left by missing teeth can cause the remaining teeth to shift, which can result in a bad bite. Bridges and crowns help prevent this from happening.